For over a decade, Antelope’s legendary OCX Master Clock has been a dominant force in the audio world. 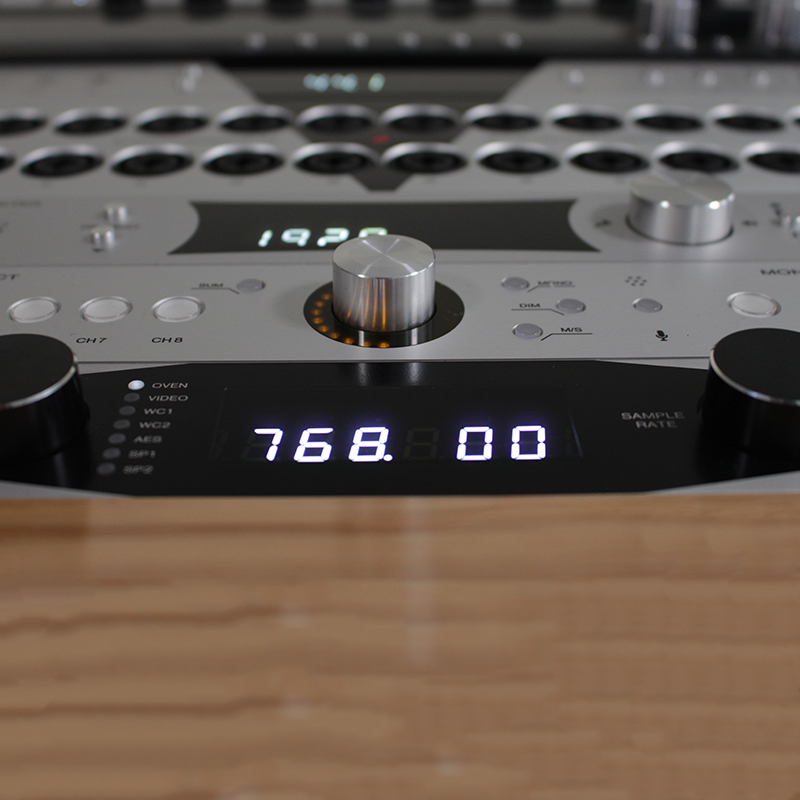 This legacy now continues with the newest master clock by Antelope Audio – Isochrone OCX HD. OCX HD raises the bar yet again, delivering sample rate support of up to 768 kHz, Antelope’s best-in-class 4th generation Acoustically Focused Clocking (AFC) jitter management algorithm and oven-controlled crystal oscillator. OCX HD Master Clock offers a great variety of clocking options – 10 configurable in pairs Word Clock Outputs on BNC, four AES/EBU Outputs and two more on S/PDIF. 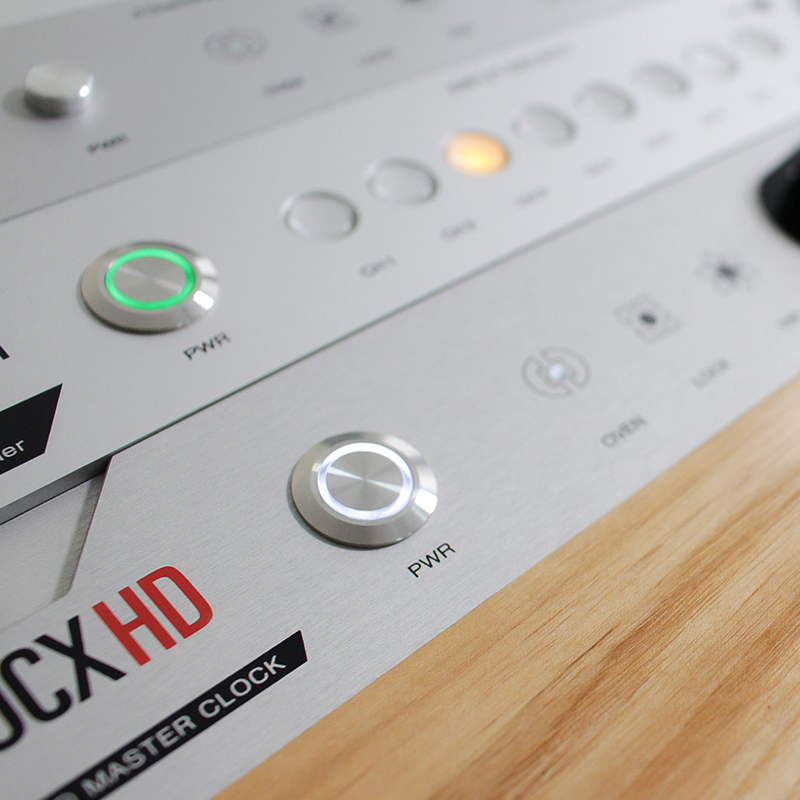 This vast assortment of connectivity makes the OCX HD the most versatile audio master clock on the market, while proven, proprietary clocking technology delivers the most musical and reliable audio sync generation on the market. 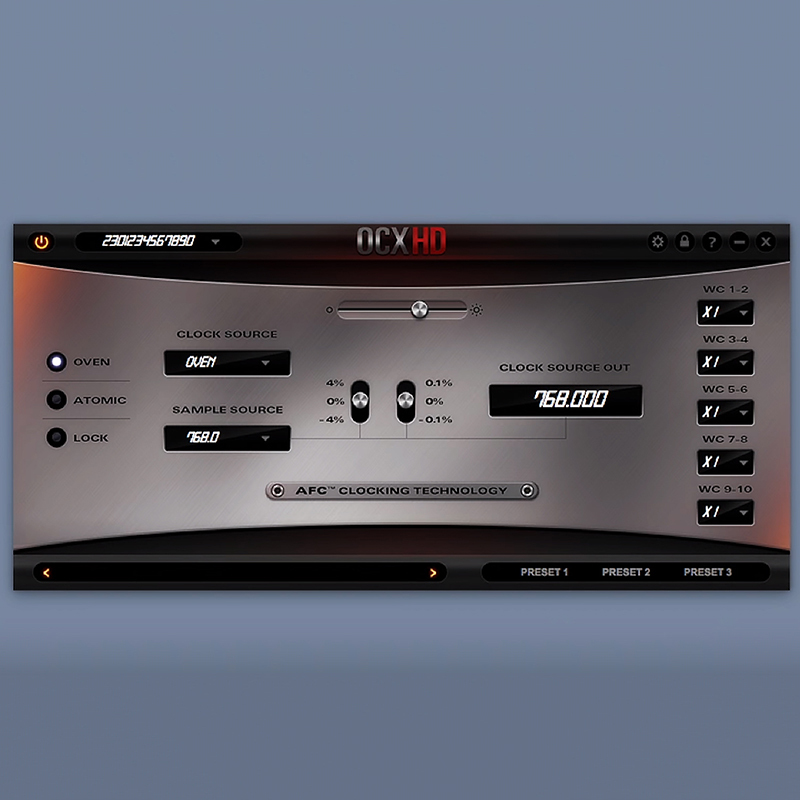 Additionally, OCX HD offers two Word Clock Inputs and a Video Sync Input, which can resolve to a huge variety of SD and HD formats, as well as clock distribution with gear-boxing, and pull-up and pull-down rates, as featured in the triple clock powerhouse, Trinity Master Clock. A 10 MHz Input allows for syncing with Antelope’s newest Atomic Clock – 10MX. Antelope’s latest master clock benefits from flexible firmware update functionality, as featured in all new-generation Antelope products, allowing for fast and easy firmware updates on the user-friendly software control panel, available for both OS X and Windows. The desktop app provides convenient remote control to simplify project workflow. The device is also easily configurable from an elegant front panel, which will add a futuristic aesthetic to any gear rack.